Posted on November 19, 2014 by No Map Required Posted in Costa Rica, Places	. They are considered the second laziest animal, next to the koala. 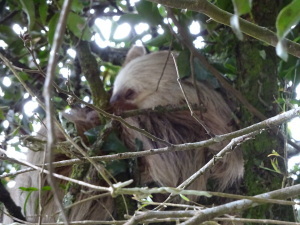 They look like a giant mass of fur up in the tree – but with Aaron’s eagle eye he has captured their cute little faces. 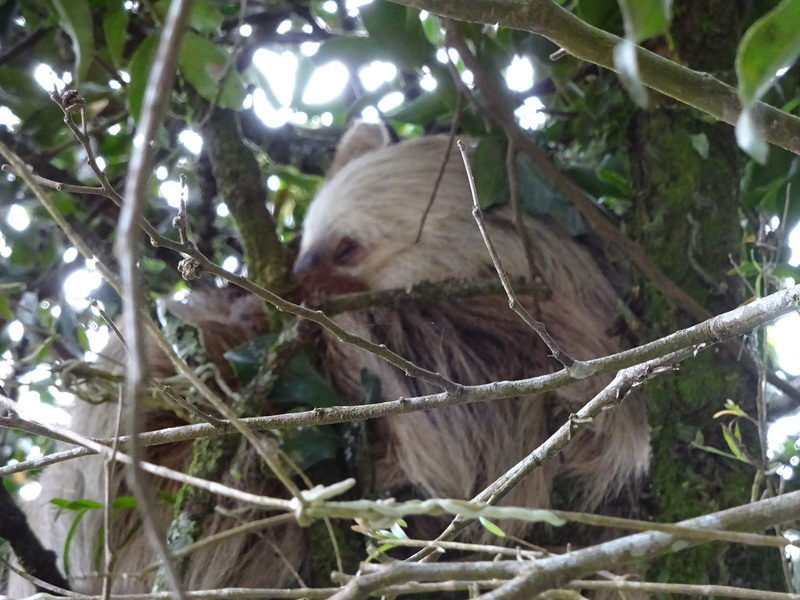 About once a week they come out of the tree to take a poo, and then go back into the tree. 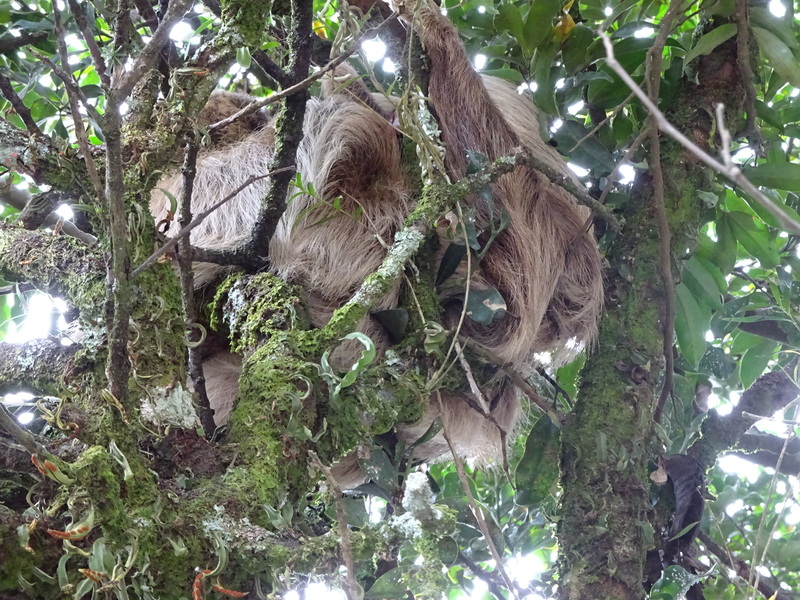 We saw a lot of sloth “action” when one of them s-l-o-w-l-y stretched and another time when one s-l-o-w-l-y reached for a leaf to eat. 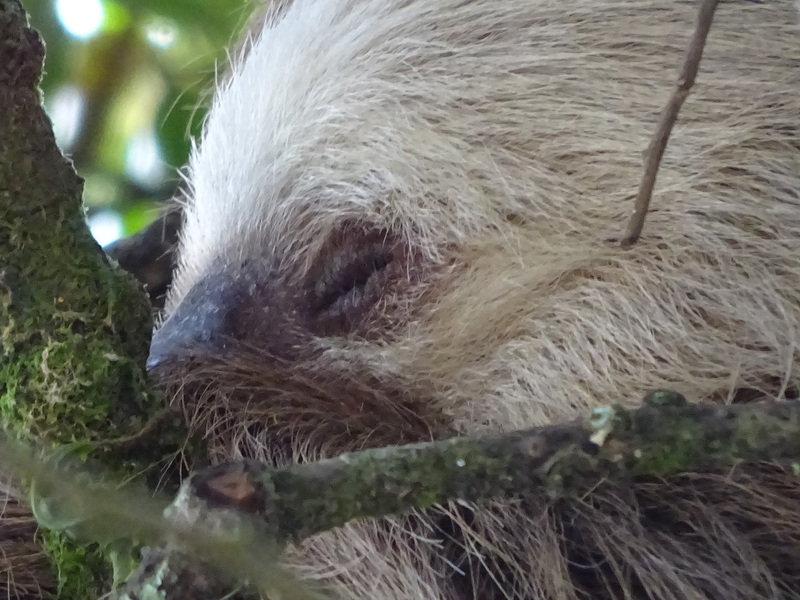 That is about all there is to say about the sleepy sloth. 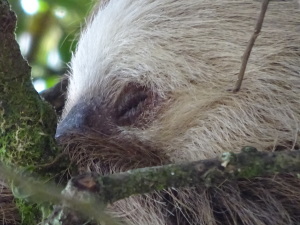 Close up of the sleepy sloth — is there any other kind? 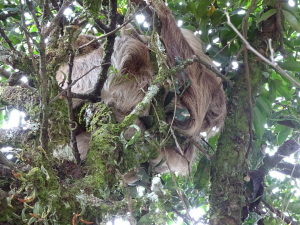 This mass-o-hair is a sloth! Yep, that’s a really active sloth. It moved a little. The night hike guides were mighty impressed, too! 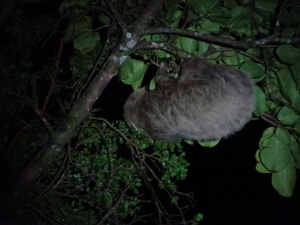 We were doubly lucky as the one we saw during the day in a random tree along the road also moved. Yay for movement!